“They caused a lot of damage, and we will respond. We will respond proportionally, and we’ll respond in a place and time and manner that we choose,” President Obama promised on Dec. 19, 2014, responding to the cyber attack on Sony and threats of a 9/11-style attack, which the President attributed to North Korea. Decades ago a different Administration promised to make North Korea pay after an even more serious attack, one that killed 31 Americans. The results of that face-off offer insights for today’s confrontation with Pyongyang. Then, as now, the U.S. was focused on conflicts outside Korea; in 1969 with North Vietnam (a North Korean ally) and today Iran and Syria (North Korean allies). Then, as now, the White House was intent on reducing U.S. military entanglements, not opening new battlefields. Then, as now, U.S. planners had to cut through Pyongyang’s bluster to divine actual intent; find tactical responses both effective and unlikely to spark a major conflict; and reassure Asian allies of American resolve. Then, as now, North Korea wanted to display its power, foment a sense of crisis and test American alliances. Then as now, the US struggled to find a way to respond to North Korea without creating worse problems or playing into Pyongyang’s hands. On April 15, 1969, a U.S. Navy reconnaissance plane helmed by Lt. Cmdr. James Overstreet was conducting a routine patrol over the Sea of Japan in international airspace, Korean and Russian linguists aboard to collect intelligence. Then American radar operators warned that two North Korean MiG fighters were streaking toward the plane. 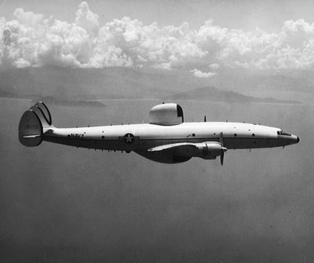 Before the slow-moving EC-121 could escape, the radar images merged. It soon became clear North Korea had shot down the plane, killing 31 Americans; Overstreet was one of 29 crewmembers never recovered and presumed dead. See source documents on the incident here. While unremembered by many Americans today, the attack continues to generate bragging by North Korea’s official news service, which still claims the EC-121 violated DPRK airspace. “At the end of the 1960s, the air force of the KPA smashed U.S. large spy plane ‘EC-121’ into smithereens in the air to demonstrate its power again,” stated the (North) Korean Central News Agency (KCNA) in 2012. The Pueblo was a U.S. spy ship seized by North Korea the year before, during a campaign that included deadly attacks on U.S. ground troops and an unsuccessful attempt by a suicide squad to kill the South Korean president. 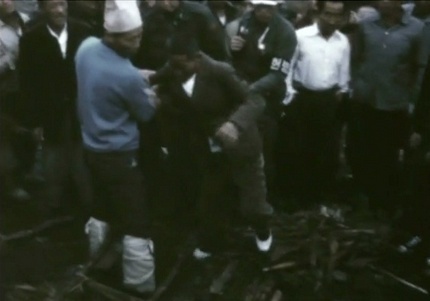 The U.S., afraid to attack North Korea while it held the crew hostage, had been forced to apologize to Pyongyang in return for the Pueblo’s sailors. Trying to extricate itself from Vietnam, and embarrassed by the Pueblo incident, the U.S. appeared to have limited stomach, and resources, for new battles. Soon after getting word of the EC-121 shoot down, President Nixon was also informed “there was an intelligence report of [Egyptian President] Nasser’s conversation with [Jordanian King] Hussein to the effect, ‘After all, it isn’t so risky to defy the United States — look at North Korea and the Pueblo,’ ” State Department records show. The North Koreans were right. U.S. forces did go on alert, including some with nuclear weapons, according to later reports. Planners soon suggested everything from military feints to naval bombardment of North Korea, along with a range of air strike options. One of the President’s first reactions was to seize a North Korean ship, which could be traded for the Pueblo, still in North Korean hands. The problem was the ship carried a Dutch crew and was registered in that country, raising complex diplomatic and legal issues. “The President said to find a way that international law can be breached. The U.S. became a great nation by breaking international law,” according to State Department records of an April 15 telephone call between Nixon and Henry Kissinger, Assistant for National Security Affairs. We look forward to seeing if President Obama’s response seems firmer to Pyongyang.